This "Historically Speaking" column was published in the Exeter News-Letter on Friday, January 2, 2015. As we launch ourselves forward into a new year, it’s always interesting to look back one hundred years, with a great deal of hindsight, to see what was happening. 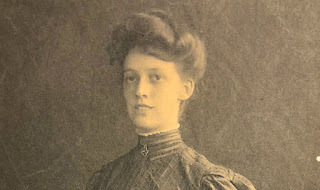 There was a lot of change happening in 1915 and a great deal of anxiety about changes that were unmistakably coming. Picture 1915 to be like a plane sitting on the tarmac waiting for take-off, only the passengers and pilots has no idea where the destination will be. Europe had erupted with war the previous year, but the United States was still not involved in 1915 – nor did it want to be. 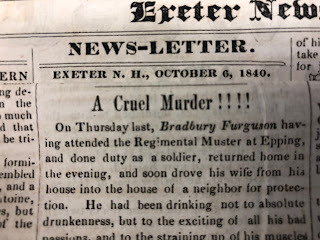 The Exeter News-Letter took no stand on the issue. There were no dueling letters to the editor on isolationism v. involvement. Yet it is clear that the war in Europe could not be ignored. The steamship Lusitania was torpedoed off the coast of Ireland in May with many Americans on board. What to think about this? We’d been warned by the Germans that shipping might be at risk. John Templeton, the News-Letter editor, took issue with the sinking, commenting, “the vessel itself would have been her rightful prey, but its sinking with hundreds of innocent non-combatants, scores of babes included, was simply massacre.” Yet, as appalled as we were, no one was ready to call this an act of war, although there was growing unease in 1915 that we would not be able to avoid it. There was also a sense of unease about technology. 1915 was the year that electricity became more commonplace in town. Electric street lighting was approved at the town meeting in March, although they did not approve installing electric lighting in the public library. Electricity was safe, everyone was told, safe enough to have in your own home. Yet lineman Gilbert French was seriously burned after touching a wire with 4000 volts and Robert Ballard, an electrician with Exeter & Hampton Electric, was similarly injured. Both men recovered, but to many it seemed like electricity was dangerous and unpredictable. A lightning storm in August “burned all the fuses on the telegraph switchboard of the Boston & Maine ticket office. The fuses were thrown in all directions and the brass cap of one was driven into the switchboard. A ball of fire danced about the office, which was filled with smoke.” Reports such as these in the News-Letter, gave people pause. Health was also changing in 1915 as the idea that germs might really be a thing continued to catch on. Dentist Dr. Charles Gerrish got it, advising “cleaning the teeth may be the most important and expert thing you can do. Thus cometh the gold days of ‘prevention.’” But the esteemed Dr. Otis – a nationally recognized expert on tuberculosis who lived on Front Street – advised clean air, nourishing food, adequate rest and exercise to avoid catching the killer disease, without any comment on hygiene. Regulations passed in 1911 that outlawed common drinking cups and shared public towels seemed to many to be unnecessary restrictions. The landscape of the town changed in 1915. There were three major building projects taking place from the very beginning of the year. Phillips Exeter Academy was still scrambling to replace its main building, which had burned on July 3rd the previous year. Updates on the construction appear nearly every week up to its dedication and opening on September 15th. Judge Edward Mayer announced in January that he was building a new theater – the Ioka – that would be fully equipped for moving pictures. It opened on November 3rd with a showing of “Birth of a Nation” – a film based on a novel called “The Clansmen.” Although boycotted by the NAACP in most major cities, the film ran for three nights in Exeter with no obvious objections. Promoted with “two horsemen in Ku Klux costume” riding through town, it was viewed as a great success. The Smith Block on Water Street opened in early October with the new Woolworth’s 5 and 10 cent store bringing mass-marketing to town. All this newness, both the good and bad, led editor Templeton to marvel at the way the world was going. At the end of the year, his one overriding concern continued to be the war. “The outstanding feature of the waning year has been the great war, which has convulsed half the world and has in more ways than one affected all neutral nations. We, of this favored land, have enjoyed increasing prosperity and the blessings of peace. It is devoutly to be hoped that the year about to open will see the closing of the deplorable war, now far protracted beyond all expectations.” It was not to be. The war raged on and in 1917 the United States was drawn in. 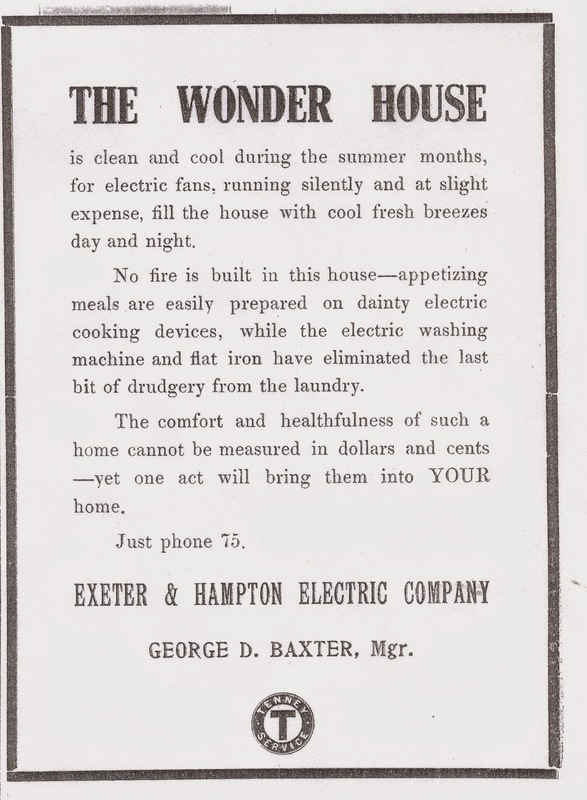 Image: (ad for Exeter & Hampton Electric) In 1915, people still had to be coaxed into installing home electricity. This advertisement ran in the Exeter News-Letter in July during the worst of the summer heat.